Inglewood promotes an arts and culture-filled district with more than 100 shops, boutiques and eateries attracting locals and tourists alike. It has been referred to as Calgary’s hub of local music thanks to venues like the Ironwood Stage and Grill (formerly The Garry Theatre), The Blues Can, The New Black Centre, and the headquarters for the Calgary International Folk Festival. Inglewood is also home to Sunfest, a one-day affair that attracts more than 30,000 people to the community for activities such as outdoor shopping, live musical performances and a country-themed celebrity pie-eating competition. Sunfest is generally held on the last Saturday in July each year. Since 2007, Inglewood has hosted the Bleak Midwinter Film Festival, founded by Inglewood residents Wendy Tilby and Amanda Forbis. Additionally, the neighbourhood is home to the Calgary International Fringe Festival, the International Festival of Animated Objects and numerous stage performances, live music acts and art exhibitions throughout the year. Since Inglewood is in an environmentally sensitive area at the confluence of the Elbow and the Bow rivers, it is also home to several nature preserves. These include the Inglewood Bird Sanctuary, the Bow Habitat Station, Inglewood Wildlands Park, and the Sam Livingston Fish Hatchery. 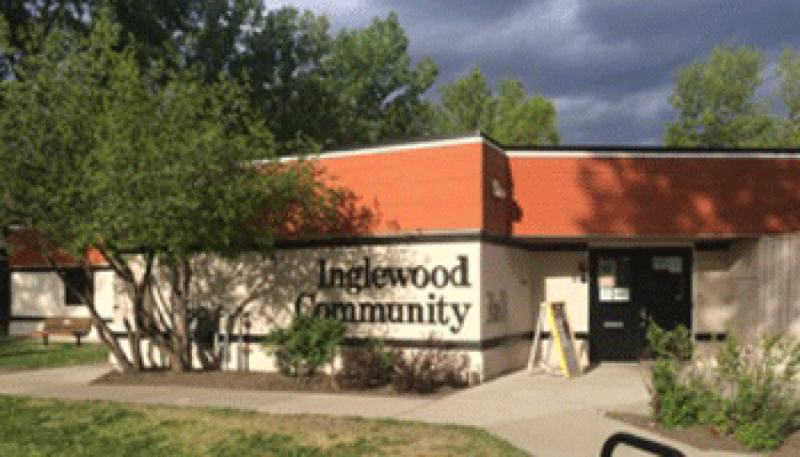 Another attraction of Inglewood, is the direct access via 9th ave to downtown Calgary, Deerfoot Trail and International Avenue (17 Ave SE).